yup, i said it. caesar dressing, bread, cheese. it was like a caesar salad crouton without the greens. just the dressing, crouton, and cheese. which, you’ve got to admit, is the best part of a caesar salad. the next day, i went out to buy another small baguette and had this for lunch. i’m addicted. it’s weird. but, i’m just putting it out there. now, it’s your turn. try it. love it. and, then share your weird indulgence with me. preheat your oven to 400. have a baking sheet ready. 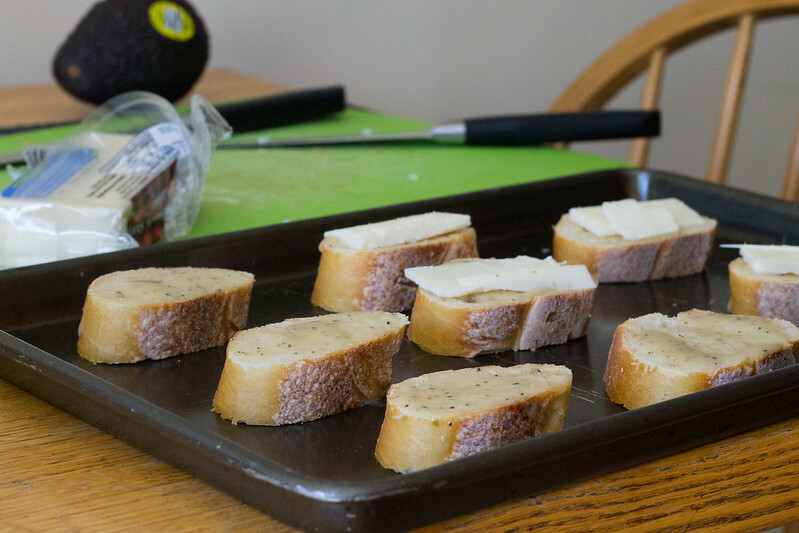 slice your baguette into about 1/4 – 1/2 inch slices. 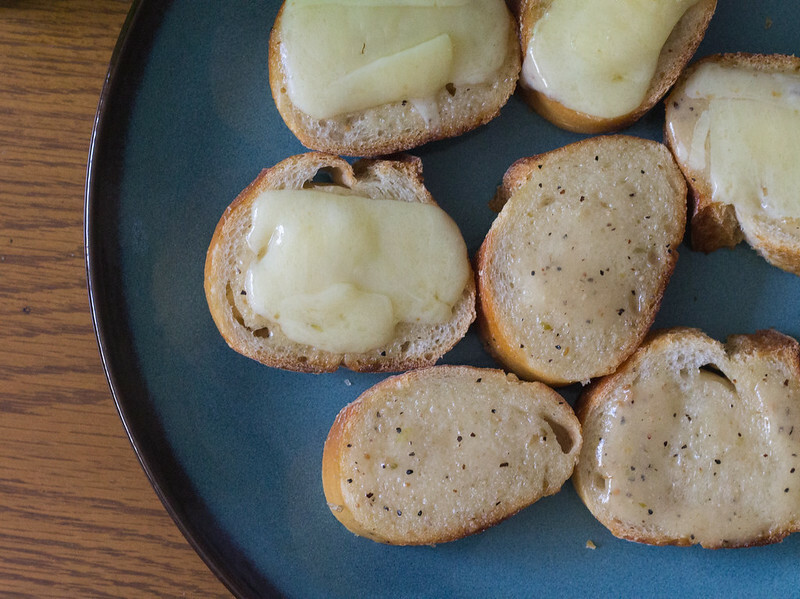 spread your favorite caesar dressing on each toast. you’ll probably need 1/2 – 1 teaspoon per slice. you want enough on there to really soak in the bread to make it tasty. 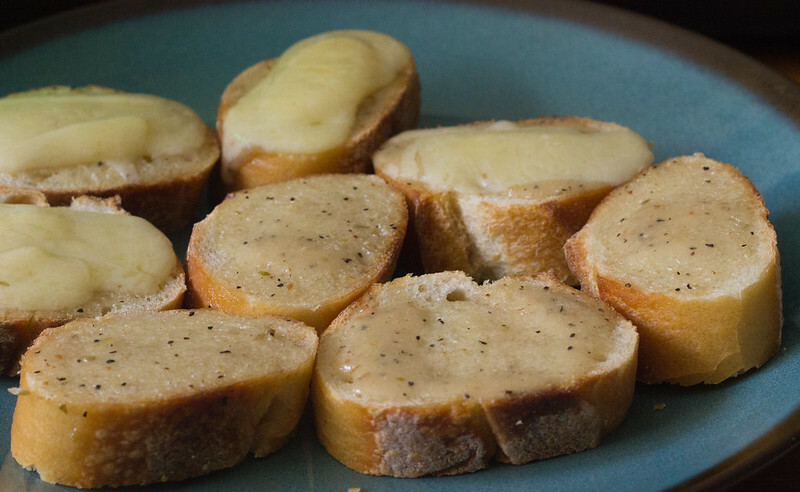 sprinkle bread slices with enough parmesan cheese to your liking. bake in the oven until cheese is melty, about 5-8 minutes. eat immediately. 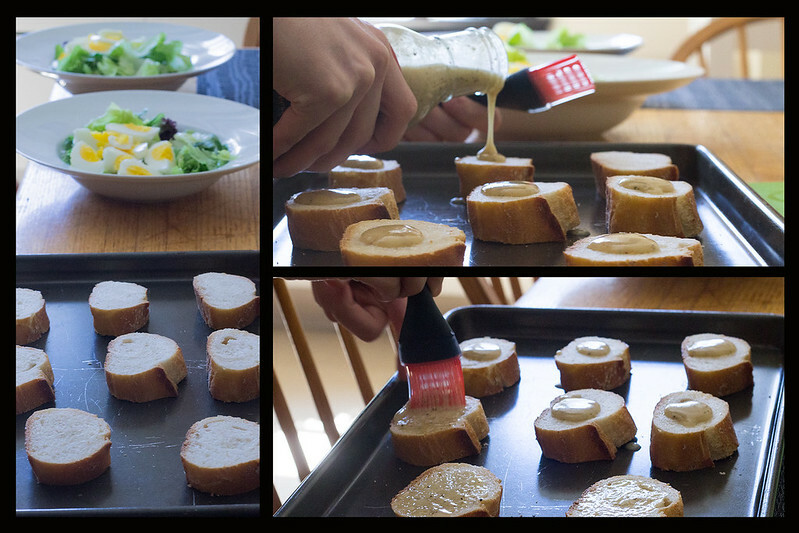 This entry was posted in noms, savory and tagged baguette, bread, caesar, caesar dressing, cheese by nomsandnotes. Bookmark the permalink.